So, success…This is not one of those “how to be a successful ……….. * ” ( * insert your choice here) text. This is a text heavy article (pics are added only so that those who browse it by mistake think it’s about fun stuff). You might think you shouldn’t waste time reading this, but…rest assured, hopefully this will be interesting enough. My purpose with this post is not to give advice, or to tell you about how successful people made it. My real purpose is… But, let’s start with the beginning. I read a blog about how being successful is all about not having to get paid for the time you work, but finding a way to generate income constantly, even when you are not working. And it got me thinking…sure, it would be really nice to do what I like all day, not having to worry about getting work done in order to pay the rent and buy me water. Well, it also got me thinking…what about the rest of us, that haven’t found the solution of getting income without being employed? And that got me thinking. What can you actually consider “success in life”? I mean, I am one of those guys that likes to have his affairs in order, all debts paid on time, taxes done, etc. and this requires an income that I can be sure to get at the end of the month. So, if I’m working a job I don’t really hate nor love, in order to pay my living until I find something better, am I just a dumb slave to a system? Am I not successful? Well, I feel it’s a great success that I manage to keep in touch with the people that are important to me, that my girlfriend loves me, that after I pay my expenses I still have some money for myself, that I can write this blog, that I can draw, design, listen to music, play on my obsolete PS2, browse emptees.com, etc. In other words, success to me is a matter of perspective. Let’s say I would constantly want stuff I can’t afford and I would be permanently unhappy about my relationships, about my look…and making just as much money as I do now, having the same people around me, doing the same stuff for fun, I would consider myself a failure, just because other people have it better than me. Then, I would say I am pretty unsuccessful. See, same conditions, same life, different perspective, no success. It’s an art/design blog, so let’s take an artsy example. When I first got into drawing, I flooded deviantArt with my pieces. Some badly drawn, some badly colored, all done at an amateurish level. But that didn’t stop me from being seriously pissed that I couldn’t get people to watch/comment my work. I felt like if I work hard on my drawings, improve a lot, comment on other people’s work, etc., I should get some more attention. And I did, but not at the level I expected. And then I got some wise words of consolation from a fellow artist: it’s not whether 50 or 5000 people look at your work, it’s how many of them stick around, and return to your work. True? Well, it worked for me. I stopped being concerned about quantity, worked on my quality and the results were obvious. Great success, right? And now, it’s time to reveal my true intention. In case you had the patience to read my post, and I thank you for that, most likely you have an opinion on the matter. 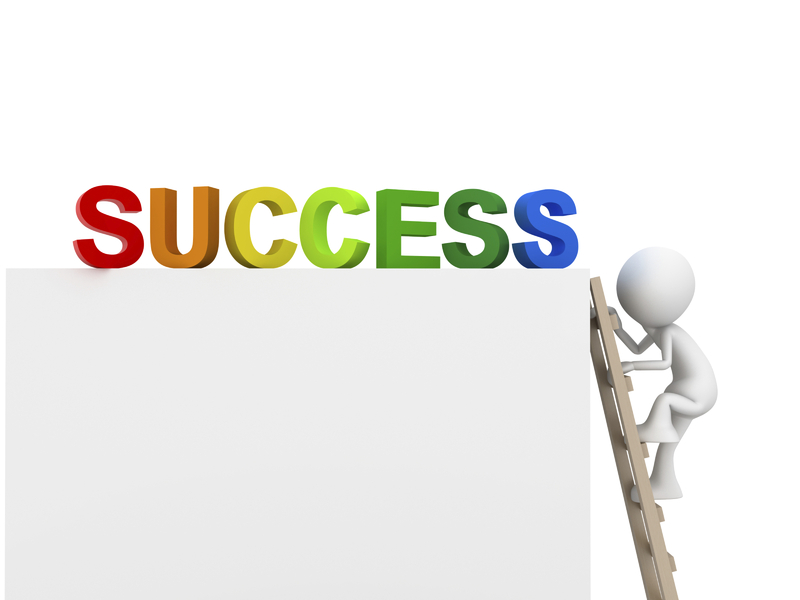 The reason I wrote this is to ask you, my readers, what do you deem successful? What is success to YOU? Please…do tell me. Artist of the day – Nina Stajner, character designer. About success , i consider myself successful ,having a great girlfriend near me ,to share all the good and bad things with,to have money as much as my life to be comfortable ,a job where to go and to like to do what you do,and great plans for the future! And that’s why now i’m considering myself a successful man ! About people that are never satisfied with their life , i know a person like that, and even if it’s trying to hide it ,you can see the sadness, and i fell pity for this type of persons. -of course, more money will always be welcomed in our life !! Success to me has very little to do with money, if you’re thinking happiness=success. So long as I have the means [not money] to survive, and I am able to surround myself with things and people and have experiences that make me happy, I believe I’m successful. On the realistic side, however.. I wouldn’t mind making enough money to have a sweet house and all the toys I want.. but you could also say that being successful is the journey of failure to get to that point. It is a nice site with various magazines: Art, Business, Automotive, Computer, Fashion,… and also movies. It is organized with good look.. Check out and enjoy!